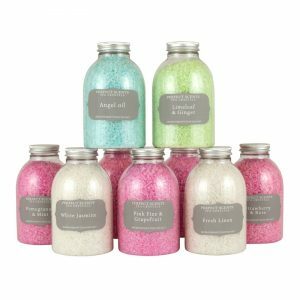 Perfect Scents spa crystals are made from natural dead sea minerals which are infused with potent essential oil blends aimed to relax, invigorate and pamper. With minerals to soften your skin and scents to relax your mind. 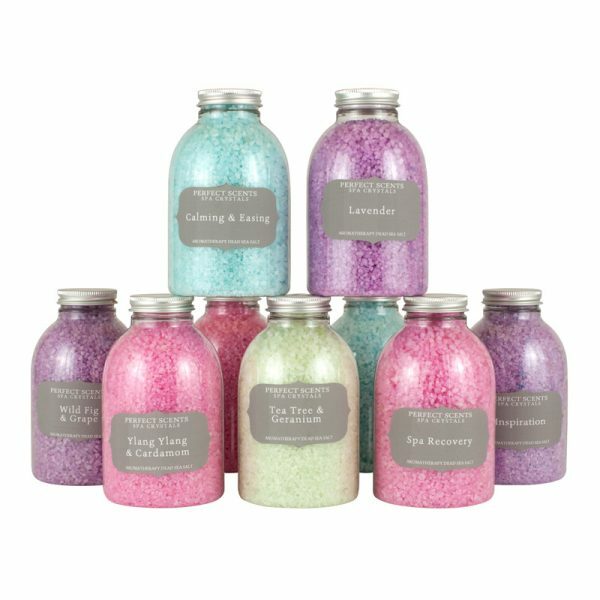 Immerse yourself in another dimension of relaxation, with our specialist spa scents. From the relaxing traditional aroma of English Lavender to the calming blend of Eucalyptus, Geranium, Peppermint and Cinnamon, there really is a fragrance for every mood. Perfect Scents are packaged in generous 630g bottles enough for at least 5 spa sessions!